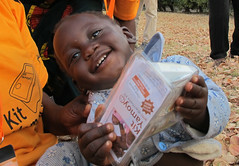 The team left Uganda on Saturday and landed at London Heathrow yesterday morning (3/4/11). The 15 of us spent an entire week living with local communities in their villages, tasted their authentic dishes (chicken stomach!) 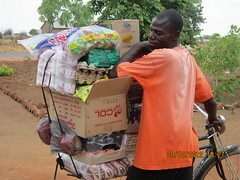 and learnt to speak some Lango too! Of course our primary objectives were to cycle 700km, visit more than 50 different schools, 20 different youth groups and a great variety of local income generation projects. Overall, we came across more than 30,000 Ugandans! We also took great pleasure in introducing ColaLife to our local communities, shopkeepers, doctors, nurses and of course – mothers. We did this through multiple stopovers during our daily cycling journeys. We were pleased by how receptive everyone was to the concept and many asked when and where they could go to acquire our ‘AidPod’ ! They would have loved some samples! From each group, we learnt more about the local healthcare teams, endemic childhood conditions (diarrhoea always came up!) 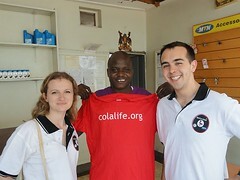 and we gathered plentiful information on future ColaLife branding, pricing, packaging and marketing. We were so impressed by the enthusiasm shown by the locals towards ColaLife and they gave us incredibly detailed suggestions on improving the ‘AidPod’ further. Finally, we hope to compile our information from all 15 cyclists into 1 report by next week and will of course deliver it to ColaLife the second we complete it! Stay tuned folks! PS: If you’d like a T-Shirt like the ones featured, sign up as a ‘ColaLife Shaker’ through the Buzzbnk and we will send you one just in time for the summer!